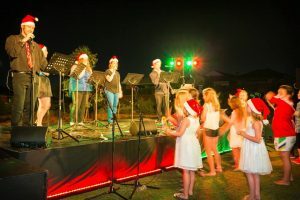 Singing and candlelight filled the air at Honeywood Park on December 17 when the community gathered together for the estate’s first Carols by Candlelight event hosted by the Honeywood Residents Group. Children and families carried candles, danced and sang along to acts by the Honeywood Kids Choir, Strike A Chord, Cathy Mueller, Evangel Christian Fellowship and Jukevox. 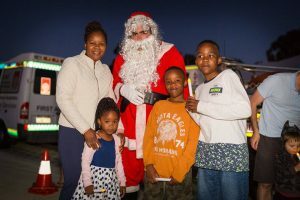 A special guest appearance by Santa Claus also surprised the children when he arrived by fire truck with a message from him and his elf. A special thanks to Lotterywest and Satterley Property Group for sponsoring the event and the Mandogalup Volunteer bush fire brigade for their support. 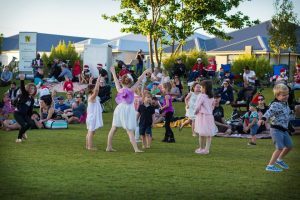 For more events like this, check out our Community Events page.